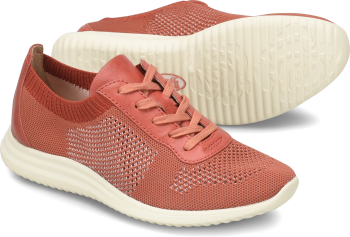 Product description: An on-trend sporty slip-on with eyecatching details. I have back and hip pain and can wear these shoes all day without discomfort. They are super light and stylish too. LOVE them SO much! I love love love this shoe! I got it in the fall in “snare gray” and noticed this last weekend that the sole on both shoes is completely cracked!!! I am so disappointed! Is there some kind of guarantee? They are too expensive to be doing this already...other than that I love them. I love these shoes, nice looking and very comfortable. Run a bit long, I usually wear a 10, but 91/2 fit best. I bought 3 pair so far (black, rust brown, and denim blue). Looking forward to buying the new Red multi-color pair. I highly recommend. Runs on the larger (long) size...had to go down a half size (Usually an 8, but had to get 7 1/2). Definitely run narrow in the pinky toe area, hoping they will stretch because they are super cute and just what I was looking for! I bought these in copper, and I always get compliments! Also, they are comfortable to wear all day! My only complaint is that they run large. 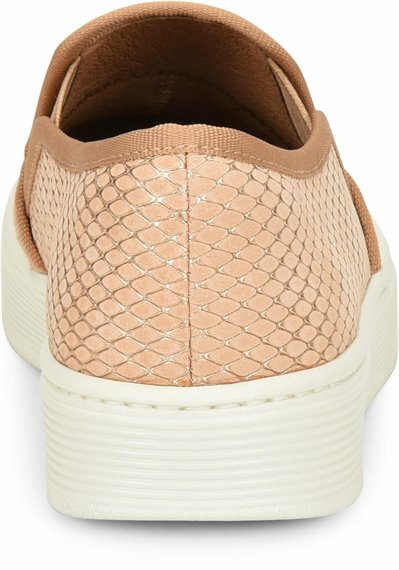 I always wear a size 6.5 or 7....in these, I bought a 6.5, and after wearing them the first time, they stretched out some, and I realized I needed a 6. They slip off my heel when I walk. But I couldn’t return since I’d worn them. These shoes are wonderful! I have bad knees and flat feet - wore these all over Europe and they were incredibly supportive and comfortable even after long days of walking. Didn't even wear the nikes I had brought along because these were so great, and much cuter. 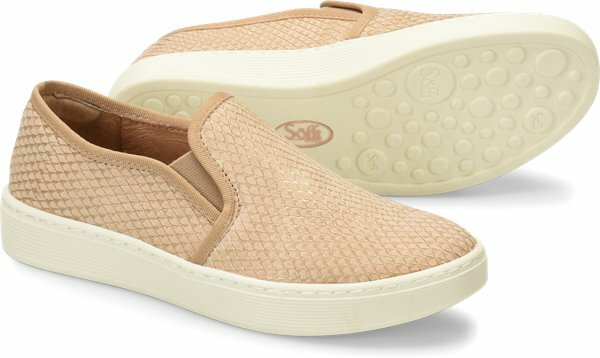 I was so excited to get these shoes and have loved other shoes I have from Sofft. The style is beautiful, and they are well made. However, I really had to work to get my foot into the shoe. I found it to be particularly narrow and without much give around the middle of my foot. I was considering going up a half size but am afraid they will still be just as narrow. Sad to be returning these. I usually wear my shoes around the house before I wear it out. I wore it downstairs and upstairs ONE time and fell asleep. My dog (who has never ever chewed any of my personal belongings) chewed my shoe. It was comfortable and was looking forward to wearing them. I'm trying to find a new pair. The best shoes I've ever worn. I have told all my family & friends to try them. I've had several back surgery. I'm cautions to what I put on my feet. I can go all day in these shoes. I'm 63 yrs young I have seven grandkids. That keep me on the go. 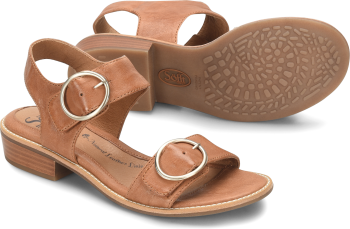 Thank you Sofft shoes your a blessing to me !! I'm so impressed with the quality of these shoes. They are adorable and feel amazing.This is my first pair from this brand and I'll be back for more. These are super comfy but they are too big, for sure. I'm ordering a half size down and hoping they will fit. A little narrow at the ball of my foot but I think the shoe will stretch with wear. I would make sure to tell them to get a size smaller. My Gold shoes are wayyy to big. I love these shoes - have owned at least 5 pair of them. I'm only giving a 4 because the sole tends to crack and then the shoes leak if wearing them in the rain. Their life expectancy, for me, is about 3-4 months of wearing the shoes for 3/4 days per week. I normally wear a 10 but had to get a size 9 in these. I stand at work all day and these are the most comfortable shoes ever. I bought 2 pair. 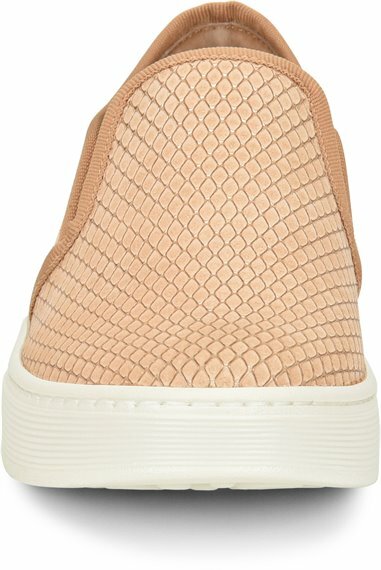 Please bring back the Blush Somers in all sizes!!! I got the snare grey and feel like it's more of a brownish, but I still like them. I normally wear a 9 and the 9 was good. Sofft shoes, good job on the styling! The comfort level is good, too. Love these shoes I wear 8.5 or 9 and the 8.5 fit best. These are extremely comfortable and has wonderful arch support. 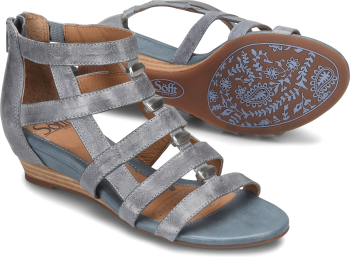 I am a hairstylist on my feet all day and absolutely love sofft shoes. I LOVE soft shoes. Always been a favorite.